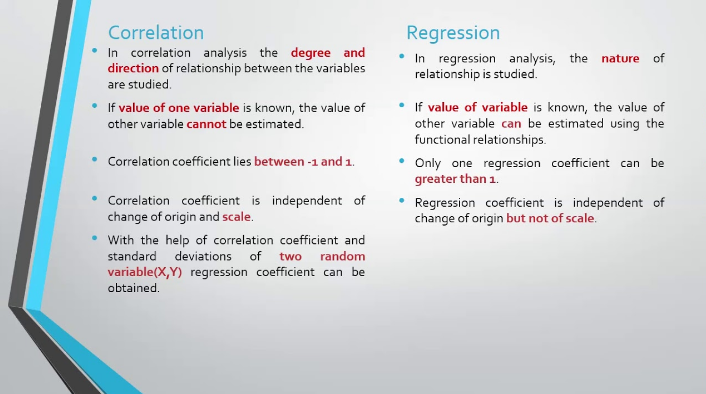 Correlation and regression analysis are heavily used in research to determine the association between variables. Many people confuse the two whereas they are very different. The difference in the two analysis mainly lies in the objective. 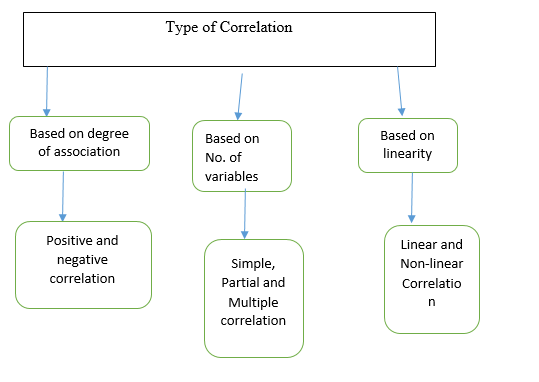 Correlation analysis helps us to know the association between variables while regression analysis predicts the value of the dependent variable based on the values of an independent variables. An independent variable is a variable which is manipulated to observe changes in the dependent variable. This prediction is done on the assumption of average mathematical relationship between two or more variables. This prediction is done using a statistical model developed from the regression coefficients. Additionally, the regression analysis helps us to know the significance of the statistical model through the Anova table. It is important to understand that correlation coefficient indicates the extent to which two variables move together while regression analysis indicates the impact of a unit change in the fixed variable(X) on the estimated variable(y). It is used to present the average relationship between any two variables through the coefficient. Positive and Negative correlation – Positive correlation is an association where increase in one variable results into an increase in the other variable while in negative correlation, increase in one variable results into simultaneous decrease in the other. Simple, partial and multiple correlations – Simple is the relationship between only two variables while multiple is the relationship between more than two variables. Partial correlation, is the relationship in which more than 2 variables are involved but only two influencing variables are studied holding the rest constant. Linear and Non-linear Correlation – this is the type of relationship in which the amount of change in one variable results into a change in the other variable bearing constant changing ratio. On-linear on the other hand, is the type of relationship where the changing ratio is not constant between the two variables involved. We offer correlation analysis assignment help. You do not have to strain if you do not have time because of a tight schedule, or you just need a good grade. We have a team of statistics experts who are ready to assist with any statistics homework.